We believe in working on your business not just in it. We believe in planning. We believe in helping you focus on what you do best! To plan and create, you need data and no other tool will provide as much control, accuracy and tangible results than cloud accounting. Our preferred software provider is Xero and, in our experience, Xero's simple and intuitive design is second to none. To date, we have assisted more than 460 small and medium businesses to implement the pioneering software. 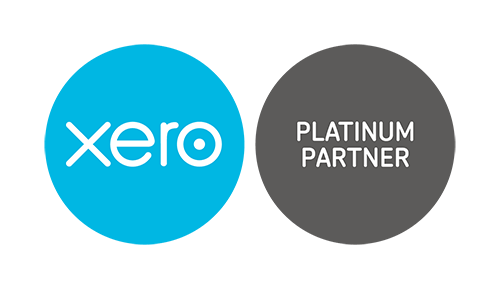 Over 80% of our accounting team are qualified 'Xero-certified' experts and our Xero platinum partner status ensures you can be confident you are talking to Xero experts. Daily bank feeds, easy payroll processing, simple on the spot invoicing, automatic payment reminders and online payment processing, means Xero saves you time, money and stress and can take control of your cashflow again. Live reporting means your accountant can help keep an eye on how your business is tracking in real-time and provide current advice and strategies to assist with your long-term plans and goals. The cloud has changed the way we do business - Xero in on your business and find out why today!